Secret, an anonymous social network and one of the most popular apps of 2014, said Wednesday that it is shutting down. The announcement comes after the departure of one of the company's co-founders and a failed relaunch that in many ways attempted to replicate rival Yik Yak, which has continued to be successful by making a concerted effort to go after college students. "This has been the hardest decision of my life and one that saddens me deeply," Secret co-founder David Byttow said in a post Wednesday. "Unfortunately, Secret does not represent the vision I had when starting the company, so I believe it’s the right decision for myself, our investors and our team. The app initially let users publish anonymous posts to be shared with their phone book contacts and Facebook friends. It got off to a hot start in January 2014, gaining popularity among those in the tech industry, raising $35 million within its first seven months and nabbing numerous headlines for the lavish Silicon Valley rumors frequently posted within the app (which were often wrong but occasionally accurate). Anonymous social networks like Secret and Yik Yak have often been criticized for enabling cyberbullying, and unfortunately for Secret, its user growth began to slow down once it cracked down on its most controversial aspects. Though Yik Yak prevented grade school students from using the app in an effort to temper bullying, it wholeheartedly embraced its most controversial elements when it came to post-secondary education, and as a result, the Atlanta startup is now a popular app among college students, who use it to post anonymous messages about fellow students or messages that peers might relate to. "I've got a blank space baby, and I'll write your name. Even though I did the entire f****** project," posted one student at the University of Houston, alluding to a Taylor Swift song. Yik Yak is now believed to have 3.6 million monthly active users who are highly engaged. Its popularity was confirmed in November when the company raised more than $60 million in its latest round of funding. 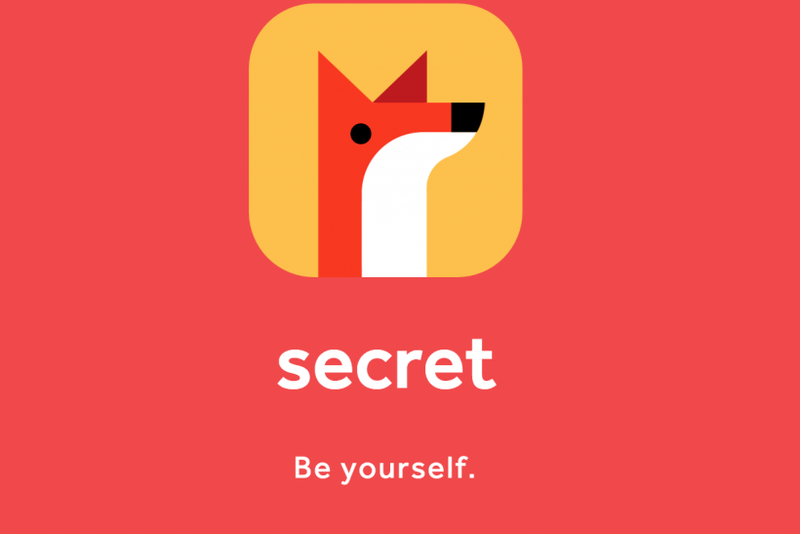 Secret tried to follow with a December relaunch that heavily borrowed elements from Yik Yak, and hired 75 campus ambassadors in December and January to promote the app. But by then, it was too late. “I did have a feeling that Secret wasn’t getting traction,” said Felix van der Vaart, a junior at Georgetown University who served as a campus ambassador for Secret. Van der Vaart, who spent his freshman year at Pomona College in California, said Yik Yak has been huge at campuses the past few years. "When you’re pent up working on exams, it provided a way to post things that aren’t appropriate for recruiters to see -- things you aren’t allowed to say in the classroom,” he said. But Secret's demise may be due more to the difficulty in sustaining anonymous social networks than to the success of Yik Yak. There are only a certain number of users for completely anonymous messaging, said Warren Shaeffer, co-founder of Vidme, a startup that has experimented with anonymous messaging apps that it later decided not to pursue. Van der Vaart echoed that message, saying college students are already "getting a little" over Yik Yak as well. “I see Yik Yak as having a time clock for sure. It’s not something I would invest in," van der Vaart said. "It’s seen as not as cool to use when the younger kids start using it. And when they get older, it’ll be like, 'Oh yeah, that was the app I used in middle school.' "
But cry not for Secret. Even though Byttow said the company will be returning unused funds to its investors, he and fellow co-founder Chrys Bader-Wechseler pocketed $6 million after their last round of funding in July. Byttow used a portion of his half to buy a Ferrari. Kerry Flynn contributed to this report.